That is the aphorism that Samoan traditional Tufuga, Li’aifaiva Salailefulu Magele Fesola’i Imo Lavea Levi, lives by. At the age of 17 and in the middle of university studies in New Zealand to be a civil engineer, Li’aifaiva knew he could not continue schooling because the reality was, he wanted to be a traditional Tufuga. Li’aifaiva Imo returned home for the Christmas break in 2007 and made the first move which was to get his soga’imiti. That began the journey of over 10 years for the son of Lavea Malagama’ali’i Fosi and Laumea Matautia Rula Levi who is now 28 years old. In an interview at his residence this week, Li’aifaiva Imo said it took a lot to convince his parents his plans about getting a traditional tattoo. “When I was in New Zealand studying I was fond of the tattoo. “I attended tattoo lectures, watched tattoos documentaries and I just couldn’t get it out of my system. “But it was not limited to just the Samoan tattoo, I was hungry to learn about all sorts of tattoos. “From the originals motifs to the modernized tattoos, I was just in love with tattoos. He said during Christmas break in 2007 changed his life forever. “I told my parents, I was taking a break from school. “It was actually pretty hard to convince them. According to Li’aifaiva Imo, his parents wanted the traditional tattoo process at their residence in Maluafou. “My home is my safe haven and I did not want to bring pain into my safe haven, I needed my haven to be just that… safe,” said Li’a. At 84 kilograms wearing size 32 pants, Li’aifaiva Imo took on the challenge. “I camped at the Alai’ava’a Suluape’s house in Faleasi’u while I was going through the tattooing process which lasted for seven days. “I am always up for challenges and so I knew that if I can get pe’a I can do anything. And sure enough after I got my pe’a my life changed. “It was a huge life changing experiencing, which took me back to my roots and up until this day, I have never left my Samoan roots. 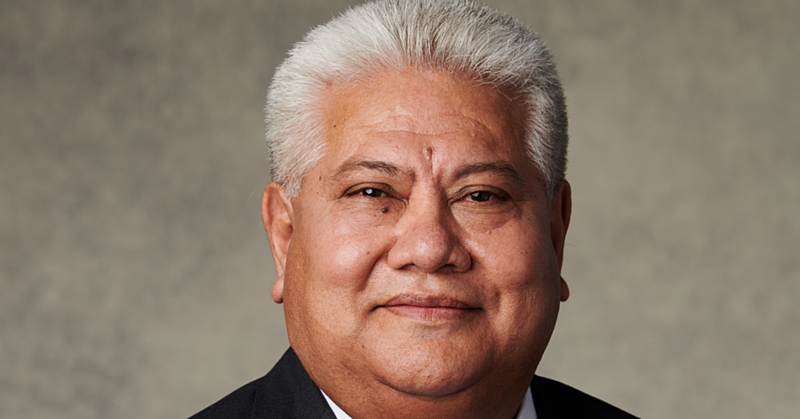 Li’aifaiva Imo told the Samoa Observer he was robbed of the opportunity to learn his culture while a child. “When I was little, I never paid any attention to what was going on, especially when my family came over for fa’alavelave. “I would hide in my room and play my play station when we had family over for fa’alavelave. “And at Year five I got a rugby scholarship for an Academy in New Zealand and that’s when I left Samoa. 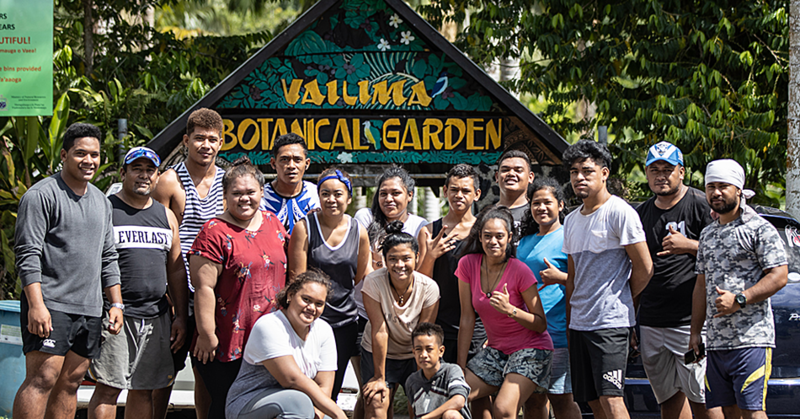 “I felt like I was extracted from the culture and that deprived me of the opportunity to learn and absorb what the culture is all about,” said Li’aifaiva Imo. “Nonetheless I am happy I pursued my passion. After getting my pe’a, I left home and in 2011 I returned home also during another Christmas break and again broke the news to my parents that I wanted to be a tufuga. “Now this time it was harder than the first time. “I was leaving school and of course my parents looked at me and thought ok, he’ll get over it, he just needs to get it out of his system. “I was dead serious about it and then we took another trip to Alai’ava’a Suluape’s residence and he welcomed me with open arms. “I started my career with just fanning during the process of a pe’a for anyone. “It wasn’t until two months when a stretcher was sick; I was then promoted to being the stretcher. “The experience was good; I got to learn the rules of the fale and observed every little detail and then the rest is history,” he said. Alongside Suluape, Li’aifaiva Imo was then eager to learn from other Tufuga. “I would go and see other tattooing going on in other places, and thankfully enough they allowed me to stretch for them… I was just so keen to learn anything from any Tufuga to help me with my career. For a year and a half he was stretching and fanning, and then he left. Li’aifaiva Imo said he extracted himself from the traditional tattooing to attend the Leulumoega FineArts School. “With the notion that I really wanted to learn how to draw, I was grateful they accepted me because I was a really grown student who was 24 years old. “I showed up at the school, and the Principal was excited and asked if I was applying to be a teacher,” he said laughing out loud. “At this time of my journey to be a tufuga, it took a back step because it was from this school I learned how to paint, carve and I applied my art to different mediums, and canvasses. “And that opened up a whole new world for me. He said the group was created to afford an opportunity for the students in a business sense. “It’s sad that our country does not really invest in art and yet artists change the world. 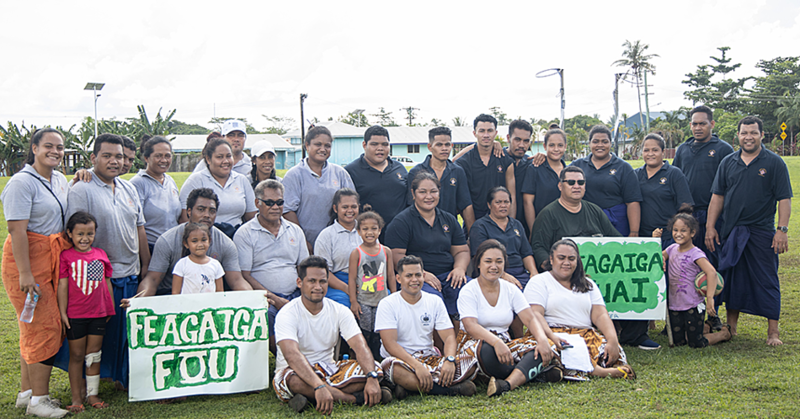 According to Li’aifaiva Imo their art group was contracted by hotels and businesses. The Sons of David’s biggest job was the Catholic Cathedral at Mulivai. “We did the entire interior, the carvings and the dome. “After that big job, we went our separate ways and I was back in New Zealand helping another Tufuga, Lawrence Ah Ching,” he said. “I went over and I had just finished the big job with the cathedral and I was burnt out. “When I was there Lawrence was invited to a Tattoo Expo in New Zealand, but for some reason he was unable to go and so he gave me the opportunity. “And mind you I had never ever touched the traditional tattoo tools before the au. “That was my first time actually using the au in front of thousands of people and they didn’t know it was my first time. He emphasizes the importance of health and hygienic when it comes to his work and that is why his tools are a “one time” use only. “I don’t boil my tools, I replace them,” he told the Samoa Observer. Li’aifaiva Imo comes from a long line of Tufuga, however the line died three generations ago and he felt that it was his responsibility to revive the family legacy. He can now say he is fulfilling that responsibility.